Gain the Edge are happy to welcome Natalie Smith to their coaching support team. 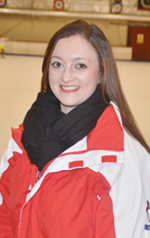 Currently, Natalie is a Level 2 Coach, with lots of skating experience gained from attending the IJS seminars and several training camps and workshops, gaining experience with American Technical Specialists Kathy Casey, Janet Champion, Brian Orser and Annie Schelter from Canada, Vera Vandecaveye, Michael Huth and Olympic Gold Medallist and former British Champion Robin Cousins and many more. Trained with the Elite at Centrum located within Ayr, as well as training for a period in Vancouver, Canada. 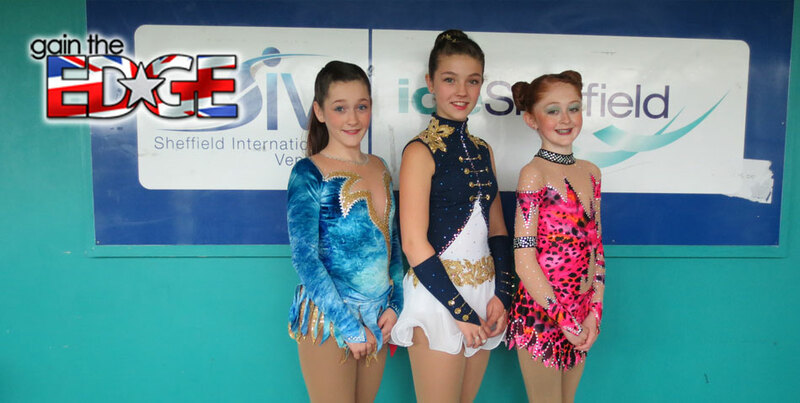 With 14 years competitive experience, and a Scottish and Northern Ireland Championship medallist, Natalie also qualified for the British Junior Championship. She also coached for a period of time in Copenhagen, Denmark. Natalie had the privilege of being part of the Opening show, performer and flag bearer, for the medal presentations for the ISU Figure Skating Grand Prix Final, held in Ayr in 2001. Also, cast in ice shows, in principal roles, and has assisted with many Christmas and end of season ice shows in recent years, as well as organising many club events. Natalie was a volunteer for the Opening Ceremony of the London 2012 Olympic Games - cast as a dancer. She quotes, 'the atmosphere was electric and was this was such a proud moment with many treasured memories'. Natalie was then selected for the Glasgow 2014 Commonwealth Games as a Medal Presenter for all the Squash and Gymnastic events. 'This was the cherry on top of the cake, truly an inspiration and a dream come true'. You may have spotted Natalie on television a few times with all her show biz performances. Natalie is very proud to be a part of the 'Gain the Edge' team and looks forward to helpings he skaters in every way she can!